See the very best of Tasmania’s pristine beaches, drive along incredible coastal roads and indulge in just-caught seafood on this three day escape. Starting in Hobart, you’ll reach the seaside town of Orford in just over an hour. 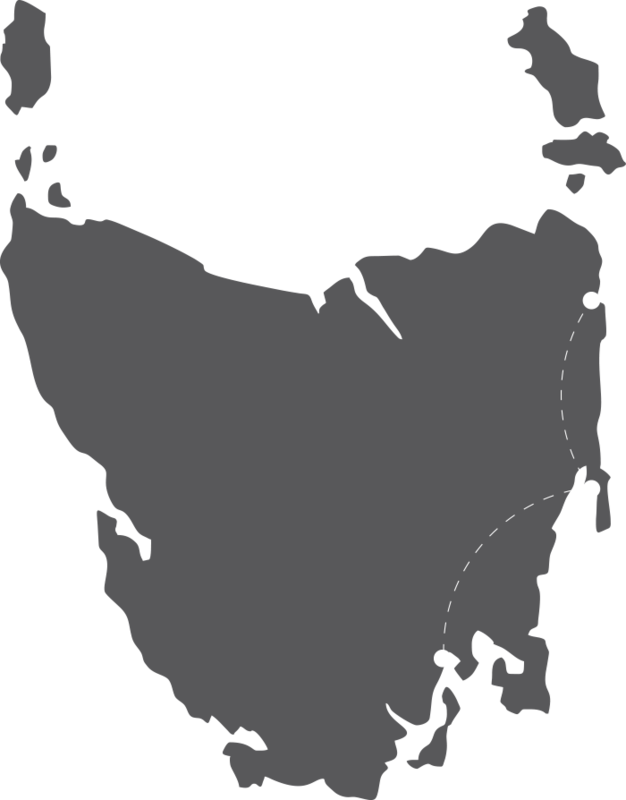 Here begins one of Australia’s premier driving routes, the Great Eastern Drive. Marvel in the views of Maria Island from Raspin’s Beach before heading north along the coastline. You’ll pass through the quaint seaside towns of Triabunna and Swansea before entering wine country. Make sure you incorporate a stop or two and the boutique wineries producing award-winning cool climate wines. Spend the day on Freycinet Peninsula, hiking to Wineglass Bay and enjoying the gorgeous coastal scenery. We recommend you base yourself in Coles Bay for your east coast explorations. Trust us, you’ll never want to leave. Venture north along untouched coastline through the towns of Bicheno and St Helens. Stop for the freshest seafood you’ll ever find and have your camera ready as you reach the Bay of Fires, where vibrant granite rocks meet turquoise blue waters. Continue your journey through to Launceston and the Tamar Valley, or why not leave the car behind and get a bird’s eye view of it all with a scenic helicopter flight back to Hobart? For more details visit The Great Eastern Drive Road Trip.